Twenty legends and all-stars of Australian motorcycle racing will contest the Baylisstic Scramble Teams Challenge at Melbourne Showgrounds as part of Moto Expo presented by Shannons Insurance on 23-25 November 2018. 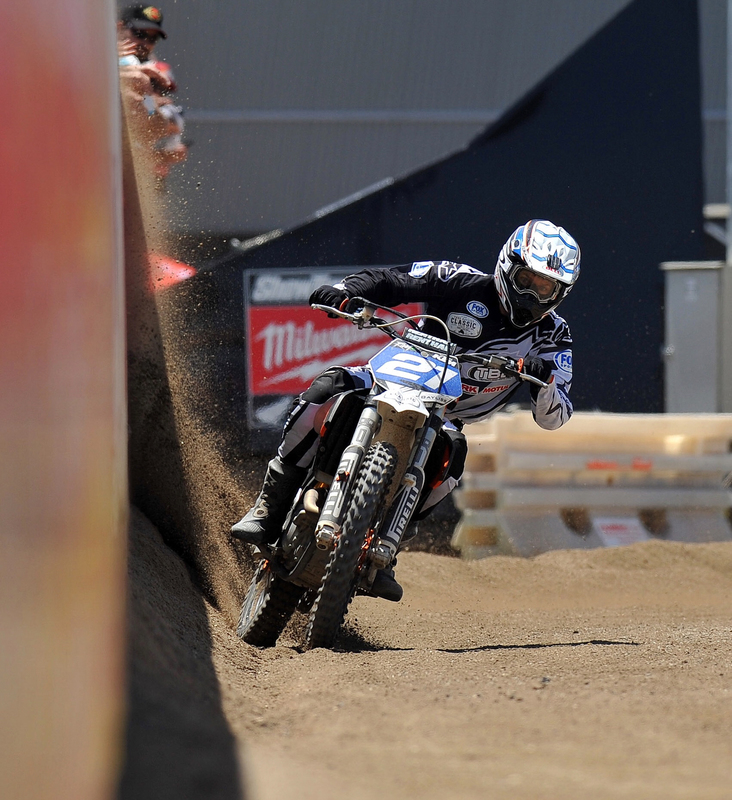 Bringing flat track racing to the city, the Baylisstic Scramble Teams Challenge presented by KTM is a feature event of the bi-annual Moto Expo which sees Melbourne Showgrounds transform into a motorcycling mecca. The event is the brainchild of three-time Superbike World Champion Troy Bayliss who nominate four captains. Each team will consist of five riders with each captain to personally invite four racers who hail from disciplines including road racing, motocross, dirt-track and speedway. "I am personally really excited to be able to confirm this event as part of Moto Expo," Bayliss said. "It creates an incredible opportunity for the public to come and watch some of Australia's best racers from a variety of disciplines compete against each other in the heart of the City. "No where else in Australia can you see these riders come together to compete in the same event. Visitors to Moto Expo can expect to be entertained with thrilling bar-to-bar racing action and it is all included in the general admission ticket price," Bayliss explained. Teams will vie for $5000 in cash prizes and will take to the track for practice on Saturday with racing to be held throughout the day on Sunday. Entry to watch the Baylisstic Scramble Teams Challenge is included as part of all general admission tickets. Over 20,000 visitors are expected to attend the bi-annual event which also includes Crumpy's City Slide, a signature flat track event of three-time Speedway World Champion Jason Crump. Crumpy's City Slide gives licenced motorcycle riders the opportunity to put their machines to the test on a purpose- built gravel flat track in the heart of the city, the event is not a race, it is a social activity for bikes of all shapes and is limited to just 200 participants. Showcasing the latest motorcycles, scooters, ATV'S, side-by-sides and much more the 2018 Moto Expo will also give visitors the opportunity to engage with industry experts, test ride a range of both adults and children's motorcycles as well as be entertained by a full program of demonstrations, stunts, and special features. Troy Bayliss will captain a team in the Baylisstic Scramble Teams Challenge at the 2018 Moto Expo.